The presents are unwrapped, the big holiday feast is over, and the decorations are starting to come down. The big day itself may be over, but your chance to get additional gifts from Bill Harris Auto Center is still available! 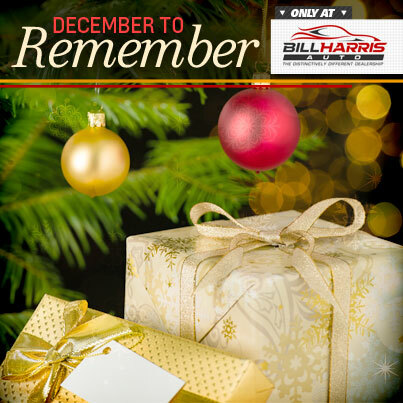 In case Santa didn’t bring you everything you wanted, the December to Remember Event at Bill Harris Auto Center is going on through December 31, 2013. You may have seen us advertise our December to Remember Event on our Facebook page over the last few weeks. So how can you take advantage of this great deal before it’s too late? It’s simple: Buy a new GM car and take your pick of a Christmas gift under our tree! We will have an assortment of gifts such as Kitchen Aid Stand Mixers, iPads, 40” Samsung LED TVs and more! These gifts are available on a first come first serve basis, while supplies last. Customers must take delivery of a new vehicle by end of business on 12/31/2013. See dealer for complete details. Hurry in to Bill Harris Auto Center on Claremont Avenue to see what is still waiting for you under our tree!